“Syncopation: Shifting Focus,” is the title of a new solo exhibit at Sozo Gallery in Uptown Charlotte. The series is inspired by Robert’s interest in architecture, music and the creative tension that exists between the planned and the improvised in any art form. Hannah Blanton opened Sozo Gallery five years ago with Robert’s work among the first artists featured. 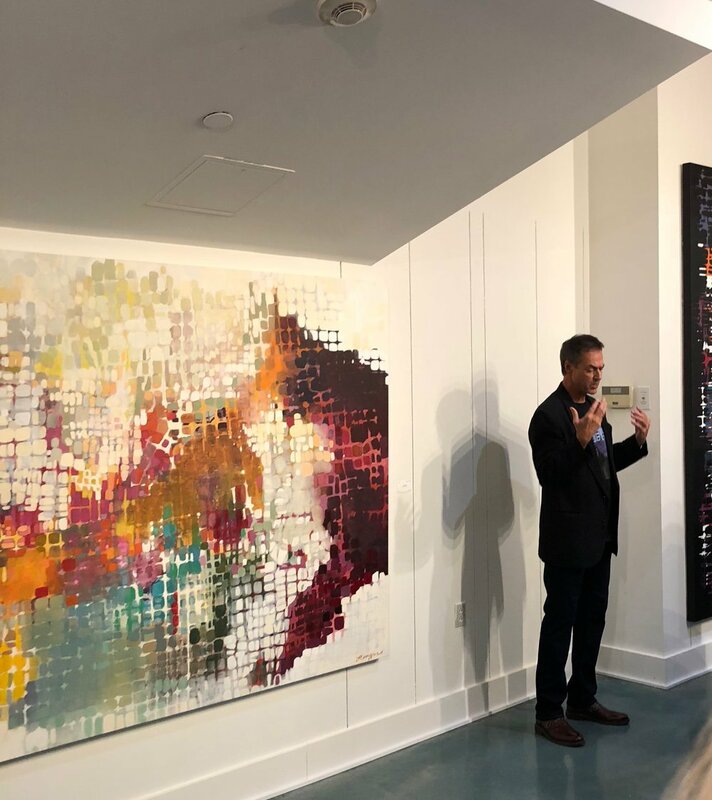 The Syncopation show, which opened November 2 and runs through December 2018, marks Robert’s return to Sozo, which is now exclusively representing his work in the Southeast. 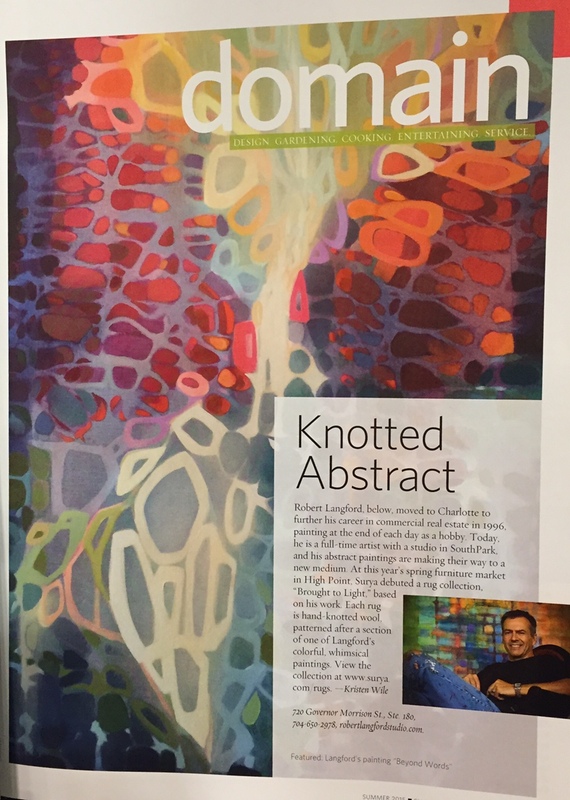 Thanks to writer Sunny Hubler and photographer Jamey Price for a great article in the April/May travel issue of QC Exclusive. Robert’s work was featured alongside poets Morri Creech and Richard Garcia on Charlotte Lit's #4x4CLT poster series for December 2016. The launch included readings from the poets and a chance for Robert to talk about his process and inspiration. 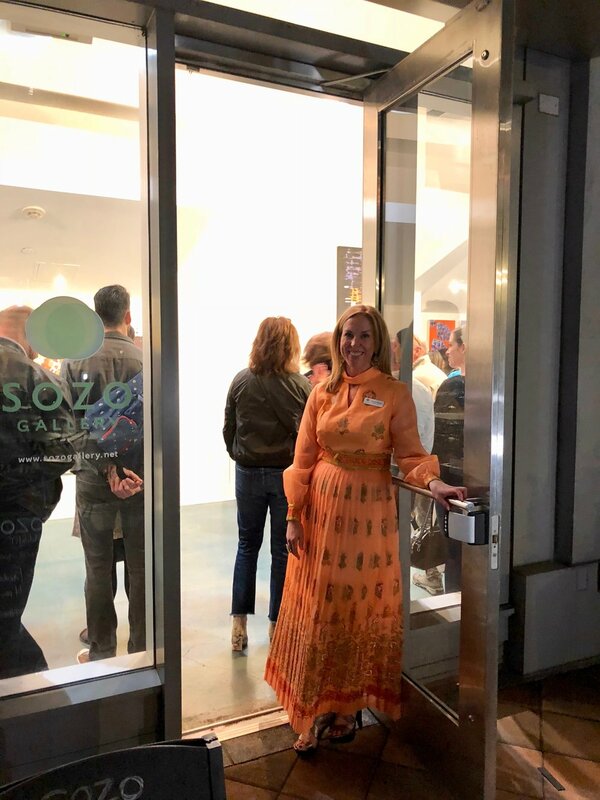 Series curator Lisa Zerkle paired Robert’s artwork with the words of the poets – a special thanks to her and to Charlotte Lit founders Kathie Collins and Paul Reali for their support. This public art poetry project, produced four times a year, was funded by a grant from the Knight Foundation. Posters are placed onsite at various 4x4CLT partner locations throughout Charlotte. Spring 2015 marked a new collaboration with the design team at Surya. 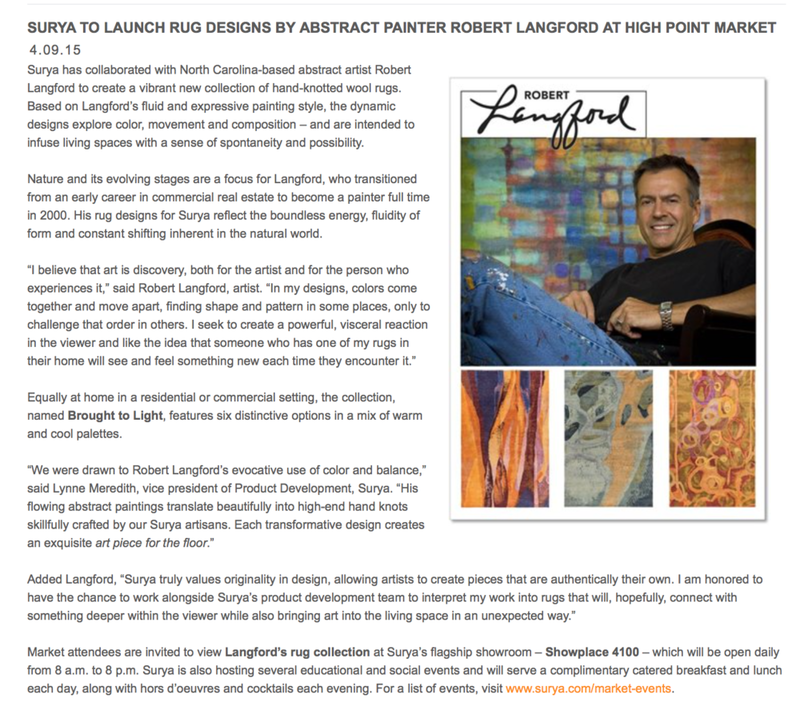 Surya has created a rug collection, called "Brought to Light," based on six original paintings, which debuted at High Point in April of that year.